I write a lot about the emotional challenges of writing. I write about writing through feelings of shame, anxiety, perfectionism, and fear. I also write about how creating and maintaining a regular writing practice can help writers move past these feelings. On the blog, with my writing group, and with my own writing clients, I emphasize the importance of writing consistently. Small daily writing efforts create huge progress on writing projects over the long term. Once we’re writing regularly and making progress, its time to think about some better stuff: rewards! I realized this week that lots of us never even think about rewarding ourselves for writing. I did some thinking about rewards and why we’re often so at loathe to reward ourselves for our hard writing work. Sometimes we don’t even feel like we deserve rewards. When we reward ourselves, we’re telling ourselves that we’re worthy and deserve it. Rewarding ourselves for making progress on our writing projects helps us stay motivated long enough to see our efforts pay off. But to get to the rewards part, we’ve got to set goals. Without goals, rewards can be just self-indulgence. Getting a reward for reaching a goal feels awesome. Getting a reward without progress towards a goal feels like a guilty pleasure. Goals can be daily, weekly, per project, or any other way that makes sense. Sometimes we’ll even have multiple goals: short-term, medium-term, and long-term. As people who write about goals always say, goals should be concrete and measurable so that we know when we’ve arrived. So what are rewards? Figuring out the right reward for reaching a goal sometimes takes a little thought. Rewards are meaningful and keep us motivated. They are, of course, as individual as writers themselves. The reward that motivates me might not motivate you. In an extremely unscientific Twitter poll, I asked writers what kinds of rewards motivated them. People told me about both small rewards (gin at the end of the day) and big rewards (massages and tattoos for finishing big projects). I’d never really tried rewarding myself for writing. I never felt my writing deserved any kind of reward. Recently, I decided to build a reward into my writing practice. I rewarded myself for writing consistently on my new Twelve Week Article. I set a short-term goal of writing consistently, five days a week, for two weeks. I tracked my progress with an app on my phone called Rewire. There were plenty of days that I didn’t want to write. But because I have a writing practice, I wrote anyways. But I really wanted my reward. I kept thinking about my reward throughout the two weeks. I imagined what it would feel like to finally get it. There were a few times when I tried to convince myself to just get my reward early, but I made myself work for it. 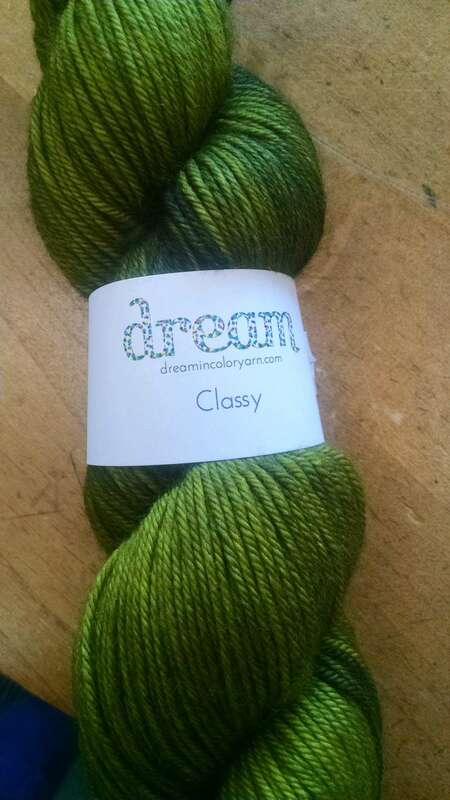 At the end of my two weeks, I bought myself yarn for a new knitting project. This might be a totally meaningless goal to some people, but to me, knitting represents creativity, mindfulness, and relaxation. I was really proud when I went to the knitting store and picked out the yarn, knowing that it was a reward for a job well done. And I’m so damn pleased with it. Seriously, rewards. We deserve them for reaching writing goals.